I’ve had some family videos, shared privately within my family, receive a take-down notice because of some bit of music that was playing in the background (noisy and barely audible but identifiable I guess). So I recognize the frustration of real content creators who are legally using content but get caught-up in near but not totally perfect algorithms that drive most of what Google does. Some times a little human intervention would go a long way. I thought that’s what a Segway was!? Now I can finally see for myself what all the fuss is about. 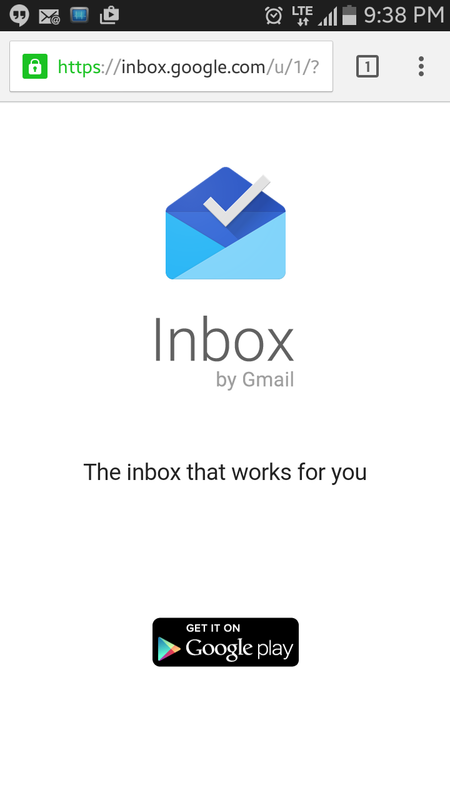 You can use Inbox in a mobile browser by requesting the desktop site. Unfortunately it doesn’t look that great. Hopefully they make a web app, for those times when a native app isn’t available. On January 25, 2016 Google Code is going to close it’s virtual doors! I’m not saying I told you so, but I told you so. The MPAA is at it again. Rather than let us buy the movies we want they want to force us to watch them only their way! There are plenty of GPS Navigation apps available to Android users, from big names to odd names and no names. The latest addition to crop is Nokia’s HERE. Obviously this is a big name! Most importantly this is a primary provider since Nokia’s HERE subsidiary is a mapping company – this isn’t just a third-party app that relies on someone else’s data. The next thing to take note of is that this is coming from the new Nokia that is no longer beholden to Redmond whip masters. I was always a big fan of Nokia (most of my mobile phones were from them) so I really hope they do well and work hard to get out of the Microsoft shadow and regain their former glory. I finally had the opportunity to really put HERE through the paces on a recent road trip to the USA – which means no data while roaming!!! I got my invite but I have to wait until it’s available to Apps users! It killed a bit of time waiting for the bus this morning. And I got to play with XnRetro a bit more. This actually looks pretty cool, better than Google Glass that’s for sure! via Ralph Lauren debuts heart rate-sensing shirt at U.S. Open powered by Montreal’s OMSignal.